We all know she was Tolkien's aunt and that Tolkien must have had a special bond with her. But one man went some steps further and did get a special interest in Jane Neave and Phoenix Farm. Q: “Tolkien’s Gedling”, a funny name for someone who is not aware about where or what Gedling is. Can you tell us a bit more about Gedling? Gedling is now a suburb of Nottingham. It was the place I was born and still holds some of my most vivid childhood memories. Nowadays, it’s a fairly ordinary but quite pleasant suburb, but when Tolkien visited there, it was still effectively a rural village. In common with other Tolkien-associated places, it was changed out of recognition by industrial development in the form of Gedling Colliery, and, later, suburbanization. 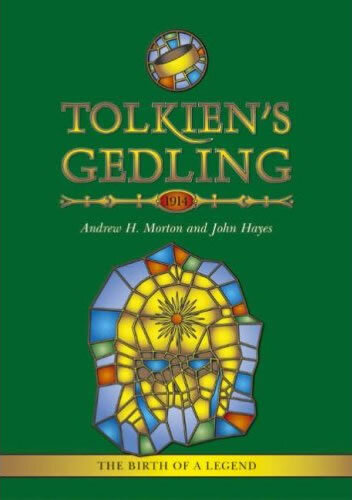 Q: Where and when is there a connection between Tolkien and Gedling? Tolkien visited his aunt Jane Neave’s Gedling farm, which she renamed Phoenix Farm, at least three times, in 1913, 1914 when he was a student at Oxford, and again, probably in early 1916, when he was in the army. One of his motivations for visiting was to see his brother Hilary, who was working there. When he was there, he seems to have made himself useful around the farm and enjoyed the social life, but the main interest for me, and for others, is the visit of September 1914 during which he wrote the seminal poem The Voyage of Earendel the Evening Star. This was the poem that was to start opening up his whole subsequent mythology. Q: It seems your book is mainly filling a gap in the biography of J.R.R. Tolkien? I think that would be a fair way to put it. 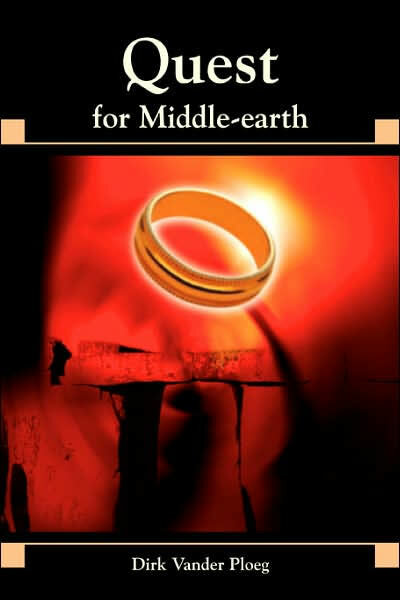 Unlike the major biographies of Tolkien, this book concentrates in some detail on one episode in his early writing career. I allow myself to speculate about Tolkien’s likely state of mind during a very unsettled time when he was not the venerable professor of later years, but an ambitious twenty-two year old undergraduate suffering, as he puts it, from “too much imagination”. This was the period in which his academic interests and creative career come together for the first time, with startling results. But my detailed research into Jane and Edwin Neave help to clear up at least one little puzzle, namely with whom Tolkien was staying in Hove during his mother’s final illness in 1904. Q: How you became interested in Jane Neave and Phoenix Farm anyway? Q: So who is more interesting to you, Tolkien or Jane Neave? Good question. Of course, Tolkien was a brilliant writer and without him, no one, including me, would be very interested in Jane Neave. The Tolkien story has been told, however, and I only have a few minor things to add. The book does contain quite a few original anecdotes concerning JRR Tolkien. It also includes an analysis of his Gedling poem and its likely sources. On the other hand, no one, as far as I know, has found out as much as I have about Jane Neave, and she turns out to be quite a star. In one published letter, Tolkien sings her praises, and he is absolutely right. She was in many ways an extraordinary person who left an indelible impression on people who knew her. She is also representative of the Suffield side of Tolkien’s family background, and it was the Suffields, rather than the Tolkien’s with whom he identified most closely. One can see in her family traits that also emerge in Tolkien’s personality. An interest in literature and art was a Suffield trait which was a part of Tolkien’s cultural inheritance. Q: Did you unearth anything special on Tolkien’s brother Hilary? He did work at Phoenix Farm as well, did he not? There’s one picture of Hilary up an apple tree at Phoenix Farm. He was an able horticulturalist who looked after the kitchen garden at the farm and was there from 1912 or 1913, until he joined the army as a bugler in 1914. During the WW1 period he appears to have been there on an off as his leave allowed. Ronald may have timed his visits to the farm to coincide with his brother’s leaves. Q: Are there any relatives you contacted, like for example Chris Tolkien who lives in Evesham, to be able to write this book? No, I haven’t been in contact with any Tolkiens except Ronald’s daughter Priscilla, who kindly replied to my queries about Jane Neave, but only had vague memories of her great aunt. Aunt Jane was an important figure to Ronald, but possibly of minor interest to the rest of the family. My main source of information on Jane, apart from the archives John Hayes and I accessed, was from Jennifer Paxman, the daughter of Colin Brookes-Smith. Colin was a teenager at Phoenix Farm during the WW1 period and his memoirs have been invaluable in piecing the whole thing together. The Brookes-Smiths had a close relationship with Jane lasting fifty years, and Jenny has been wonderfully kind in providing me with all kinds of living memories of Jane Neave, not to mention previously unpublished photographs. Q: I saw Wayne Hammond and Christina Scull mention your book a long time before it was published. Did they help you out in any way to write this book? When I started discovering new things about Jane Neave and Phoenix Farm, I started an exchange of information with Wayne and Christina. At that time, as I was uncertain when or whether my book would be published, I was more than happy to have my few discoveries published and acknowledged on their site. They were extremely helpful in putting me in touch with people I needed to contact .It has been a great privilege to be in contact with these two wonderful Tolkien scholars , and an even greater one to have them look over the proofs of my book and, I hope, prevent me making too many errors. Q: When writing about Tolkien’s Gedling I imagine you will also touch the topic of Earendil? Two chapters of the book are dedicated to the Earendel/Earendil – one concerning itself with the poem itself, and the other with the significance of the name. I look at the biographical context and the way the figure of Earendil sails on through Tolkien’s later mythology. As far as Tolkien’s poetry is concerned, I have a neutral attitude –some people love it – I take it as it comes. However, I do think that the Gedling poem ushered in a new era in his writing, showing a new assurance and direction. I also examine the origin of the name and try to shed some new light on the matter. There should be a few good discussion points here. Q: Are there any unpublished letters or photographs, or who knows even other manuscripts, included in this book? There are 43 previously unpublished photographs. I have to point out, though, that there is only one of JRR Tolkien, on his Swiss holiday of 1911. This photograph makes an interesting addition to a different one published in The Tolkien Family Album. There are several of Jane Neave and many of Phoenix Farm, which evoke a bygone era very well. I also include a couple of Jane’s Bag End farm, one with John Suffield as a very old man looking out from the south-facing door. I think these photographs will be one of the main attractions of the book. To discover unpublished letters between Jane and Ronald would indeed be a coup, but I think it very unlikely any such exist. Jane kept a couple from Ronald, which found their way into Tolkien’s published letters via Jenny Paxman, but any others are likely to have been destroyed in one of Jane’s periodic downsizing moves. In any case, I felt I had enough to go on without seeking access to any Tolkien archives. 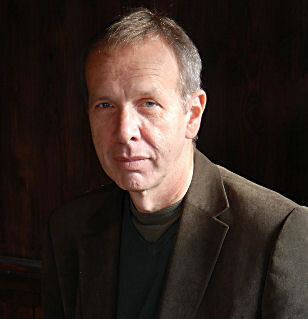 Q: Now that you have written Tolkien’s Gedling can we expect a similar project in the future? Or is this your first and your last book on Tolkien? Glad you asked that. In the course of researching Tolkien’s Gedling, I came across much interesting material on Jane Neave’s Bag End, in Worcestershire, where she farmed for eight years after the Phoenix Farm project. In the very near future, I hope to publish an illustrated account of the Bag End Tolkien knew, including, again, lots of unpublished photographic material from the period. I suppose that Bag End is a name that all Tolkien fans will be aware of, and I am exploring, among other things, ways in which the real-life place might have insinuated its way into Tolkien’s imagination. The book will be mainly informative, certainly picturesque and possibly throwing up a few intriguing new ideas. Much of the information that exists on Bag End at the moment, especially on the Internet, is skimpy or simply erroneous so I’m hoping to give the definitive account. It’s another minor byway of Tolkien studies, but I think it will be entertaining and a must-read for the Tolkien fanatic.